If you’re from South Florida, then you’ve heard of West Palm Beach. Older than Miami by two years, it is one of the oldest towns of South Florida. Settled from the time periods of 1870 to 1880, it was originally dubbed “Lake Worth Country” named after William Jenkins Worth, a colonel who fought in the Second Seminole War of 1842, along with several other notable campaigns. The slowly emerging city would grow, becoming incorporated into the Dade County on November 5th, 1894. The industries that thrived the most during that time were tourism and fruit trading, until in 1909 the Florida State Legislature formed Palm Beach County, giving West Palm Beach a county seat. Since then the city has thrived, even after disasters such as the Okeechobee Hurricane, and the great depression. Firstly, the construction of Palm Beach Air Force Base gave a boom in population from the military presence in the area. Then when the war was over, and all those servicemen and women returned home, their decision to continue their lives in West Palm Beach only added to the city’s growing population. With such a long history, it’s no surprise that many who call West Palm Beach their home know just how old the streets are, and how dangerous it can be. The personal injury attorneys at Wolfson Law Firm understand this and giving them a call at (855) 982-2067 is one of the first steps you can take in getting yourself the answers you need. Are all your passengers safe? Are you safe? 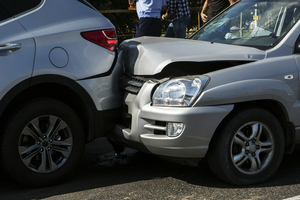 Can you avoid any additional injuries by others arriving on your accident scene? Call the police, and make sure an ambulance is on its way should there be injuries that require medical attention. Getting medical help is paramount to your safety, that should always be on your mind after coming out of the accident. Report the accident to your insurance company. Informing them right away is the best way to avoid complications in the future. Take the time to research and call the best West Palm Beach car accident attorney in South Florida. The Wolfson Law Firm has been practicing law for over fifty-five years, their personal injury and wrongful death attorneys are there to help the community in any way they can. They’ll work to the best of their ability to ensure that you are taken care of by the law, and that you’re given the compensation you deserve. Jonah Wolfson is the managing attorney at the firm, and he is a bilingual West Palm Beach attorney who’ll work towards getting you your compensation. He and his legal team are only a phone call away at (855) 982-2067 and are ready to speak to you in English or Spanish about how best you can be helped. Calling is toll-free, and a consultation is totally without charge. Get the information you need right away, call Wolfson Law Firm, and get your life back on track.